We just finished an amazing, intense few days with our Writers Studio, and are now deep into planning (and really excited about) our fall Writing Retreat at Lake Arrowhead. Coming off a four-day intensive gets us all in the mood for finding more time to dedicate to writing. While the Studio is a very structured period of instruction and writing, the retreat is designed as a more self-directed program (though there will still be plenty of activities) for writers looking to get away from allllllll the distractions of the day-to-day and really focus on their work. I sat down with our program director, Charlie Jensen, to dig into the ‘whys’ and the benefits of a retreat. Writers’ Program: What inspired you to develop a retreat week? Charlie Jensen: I know many of our students balance classes and writing with jobs, family responsibilities, and—to put it mildly—LA transportation woes. Writing retreats are common enough in the literary world, but for writers striving to complete their first work—or even their third, fourth, or fifth—it can be too hard to commit to weeks or even months away from home. I wanted our students to have focused time to write, to make progress on significant works, and to even complete projects in progress. WP: What words of encouragement do you have for writers who are new to the craft or unfamiliar with retreats? What are the benefits of a more self-directed retreat? CJ: Writers come in all stripes. Some people love the feeling of working in a room with other people, even if no one’s talking—the coffee shop writer, for example. Others are more collaborative and want to turn to someone next to them to work through their thoughts about what they’re working on. And some just want quiet time and private space to write. Our Writing Retreat can cater to everyone, but with the added bonus of designated times when we can all come together to get acquainted and build a community of writers in a really beautiful location. WP: What are you hoping attendees get out of the experience? CJ: I hope they make great progress on their writing, first and foremost. After that, I hope they make connections with other writers who might become friends, colleagues, and supporters over time. Retreats can really bring people together. I know as a creative person, it’s so invigorating to be completely immersed in a committed community of likeminded artists, and I hope the retreat makes that a reality for our students. CJ: It’s beautiful! And UCLA has a gorgeous conference center there with top-notch accommodations, so we’ll get to enjoy quality environments both indoors and outdoors. 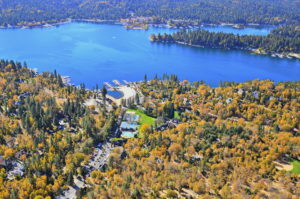 September in Lake Arrowhead will be lovely—and it’s remote enough that people from all over the world can escape the pressures and responsibilities of daily life and focus just on writing great work. WP: What are you most looking forward to about the retreat? CJ: Honestly, I’m pretty excited about the open mic nights. I think it’ll be so fun to hear what people are working on at the retreat while it’s going on, and I hope we’ll have brave souls willing to share. It’s also great practice for learning how to read your work aloud, which is an important skill for a writer. CJ: I know the thought of unstructured writing time without instruction might be scary for some, but I believe the Writers’ Program has so many writers who are ready for this kind of opportunity. We’ll enjoy the same kind of community we find in a writing workshop on campus, but the focus will be on generating new material or revising what we’ve got. The mini-craft talks will be very collaborative peer discussions for questions retreat attendees have about writing in general, or about their projects in particular. I’ll be there to facilitate the discussion, but everyone can contribute, and I believe everyone will have something valuable to offer. The Writing Retreat at Lake Arrowhead runs September 10th-15th, 2017. 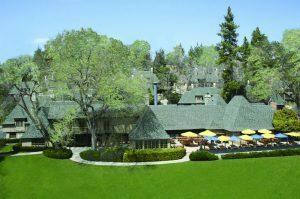 Here’s the page dedicated to info about the retreat (and you can register there, too) and more information on Lake Arrowhead. Also, feel free to reach out to program director Charlie Jensen (cjensen@uclaextension.edu) with any questions! Bree is the Assistant to the Director and Social Media Coordinator. You can email her at btodish@uclaextension.edu.